HONOLULU – Today Hawaii Department of Transportation (HDOT) crews moved the concrete barriers that were placed near Laniakea Beach on Kamehameha Highway. No parking, stopping, standing, loading and unloading signs are in place to restrict parking 24/7. Additional no parking signs will be added in the coming weeks. Drivers who violate the parking restriction risk being cited and/or towed. Jaywalking across the highway continues to be against the law. 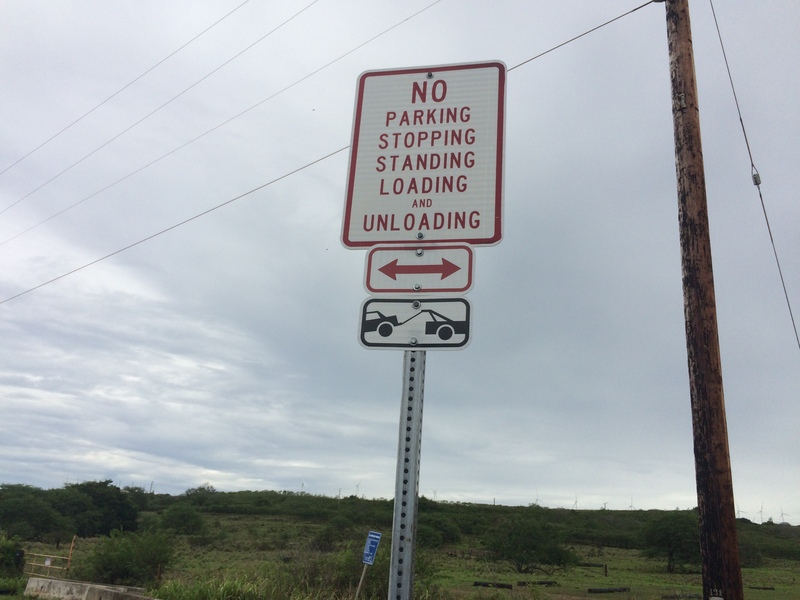 The approximately 1000 feet of barriers were placed in the area to improve safety and relieve congestion caused by vehicles parking and offloading on the mauka side of the highway. HDOT assessments indicate that the barriers have successfully improved safety and reduced traffic congestion. A lawsuit regarding the barriers was filed against the State in 2014. When the court ruled on June 4, 2015 that the state must remove the barriers or reach agreement with the plaintiffs, the HDOT worked with the City, who owns the land mauka of the highway, on possible alternatives, including opening up a section on either end of the barriers to allow one way traffic and parking. Assessments and improvements are necessary in order to make any alternative safe, feasible and accessible to all. Unfortunately, HDOT was not allowed the time necessary to perform needed feasibility assessments or make improvements. To allow parking without making the safety and operational improvements necessary could subject users to unsafe conditions in the parking area, negatively impact traffic movement in the area, and subject the State to lawsuits and liability concerns. HDOT continues to work towards a Special Management Area permit to allow HDOT to replace the barriers to restrict parking. HDOT is currently performing an Environmental Assessment (EA) that is part of the SMA permit application. Once the EA is complete a Special Management Area permit application will be submitted to the City & County of Honolulu for consideration. HDOT appreciates the support and involvement by the City throughout the process. Representatives from the City & County of Honolulu have contributed to the ongoing discussions. HDOT thanks all the members of the community who have shared their perspectives regarding the barriers. HDOT continues to work on a study to realign the highway further mauka. The project cost is estimated at $20 – $45 million depending on the preferred alternative. Agreement from public and private landowners would be required. Additionally, the potential environmental impacts must be considered, and it would take approximately five years after the environmental assessment is concluded, contingent on funding availability, to complete the project.